You might be thinking, what? Not the Raven Cycle? This book is my soul book. If you were to cut my heart open, I think my heartstrings would look and sound and feel something similar to this book (if hearts could do that, of course). The Scorpio Races is mythic and nostalgic and heartrending and real, despite its rather extraordinary situation. It’s the life I would love to have: small, but significant. The characters, as always, are Maggie’s strong suit. Puck is lovely and fiery, terrified and brave. I relate so much to her fierce love for her family, to her consuming love for the land of Thisby. (I feel that way about Britain.) She’s certainly not perfect, but she cares for her own and grows to know her own soul. I admire her so much. And Sean Kendrick. That precious cinnamon roll (too good, too pure for this world). He’s one of the best characters I’ve ever had to opportunity to know. He’s quiet and still and grounded and he freaking love his horse so much. He and Corr are the real love story of this book–the deepest, purest sort of friendship. Sean’s wants are few, but he wants them so passionately that my heart breaks for him. He is the silent fire you don’t always know is burning, but when you do–you can’t look away. I know I said Sean and Corr are the real love story, but the actual love story of the novel is so dang lovely and perfect. Puck and Sean compliment each other in all the right ways; they grow and develop together, building off of their kinship and passion for the things they care about. I love, love, love how subtly Maggie does romance, and I feel like she binds Puck and Sean together so quietly that I, as a reader, just sit there and wonder if there was ever a time when they weren’t Puck and Sean. One of the things I love most about this book, though, is the island–Thisby. The setting is a character all its own, and Maggie does such justice to it. Throughout the novel, you really get to know the island, its wants and its mannerisms. You get to know the people that grow from it, which is most telling of all. Thisby is a wild creature, but a good one, I think, too. More than anything, it makes me feel like I’ve come home, gone to the home of my heart, which is the best compliment I can give to a story. Does anyone ask you why you stay, Sean Kendrick? They do. And why do you? The sky and the sand and the sea and Corr. 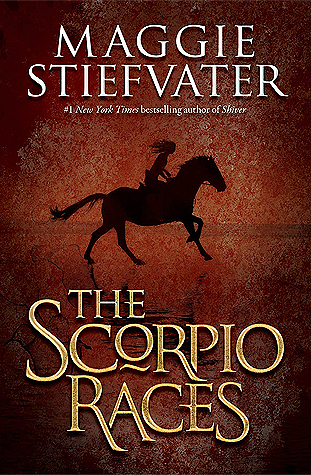 Just read the Scorpio Races, okay?